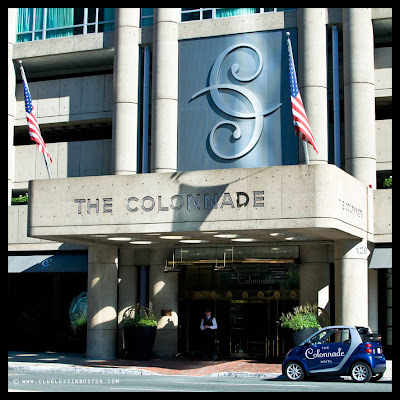 This week's doorway is the Colonnade Hotel on Huntington Ave. 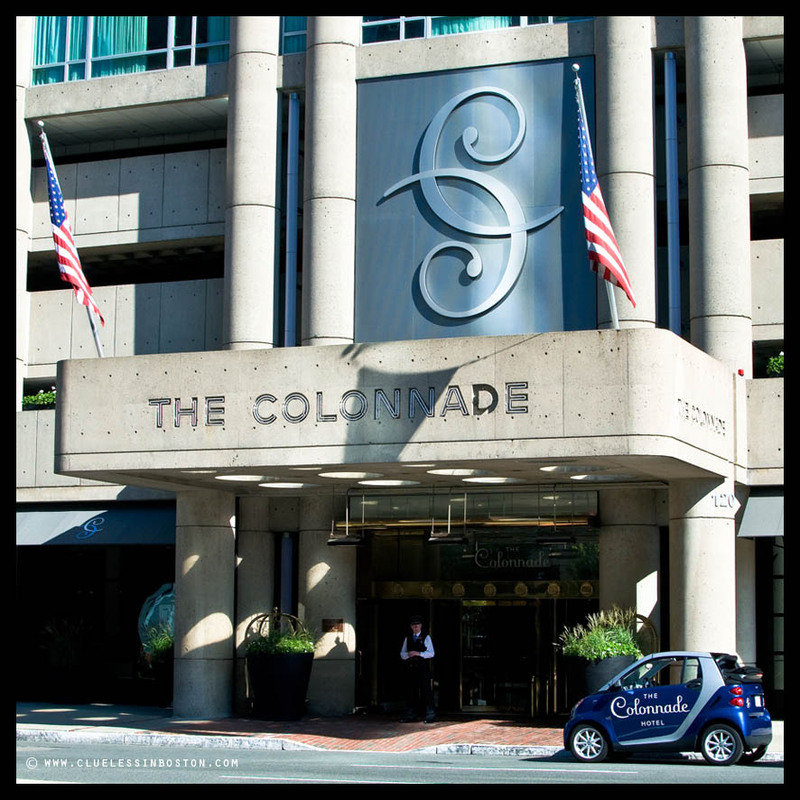 I wonder if they let the guests borrow the little cars parked out front. The car parked there shows just how enormous the doorway is! I love that little car! Nice composition and the blues. Must be pricy this hotel with such an elegant doorway! In Boston traffic, I would think these 'little numbers' would ideal death traps. I'm not getting in one. One of my favorite hotels even though it's been a while since I've stayed there. I've had a busy week or two and am just now catching up on your blog. Nice to finally see a photo of 'Mr. Clueless'.